One significant focus of the work we do at New Hope is on building a community, which we are excited to reflect in our sponsorship program as well! Children at New Hope live in family-size casitas (“little houses”, or in our case, apartments) with about 6 other children and a house parent to care for them. This helps to promote attachment and gives the kids a valuable sense of family life, which is so important as they build their own families in the future. Birthdays and other special achievements are celebrated within these family groups, which builds of sense of intimacy and stability that is typically absent in institutional care settings. Outings and special events are generally planned for the casitas, which provides further family-style experiences for the children. For these reasons, we match sponsors with casitas, giving them the opportunity to invest in and connect with a community of children, rather than an individual child. New sponsors are matched with a casita and receive a group photo, along with a summary of the kids in that group and the stories of how they arrived at New Hope. Sponsors typically receive updates twice a year about the casita and some of the significant moments in the kids’ lives, along with some specific ways to be praying for the children. As new children come or current children leave, the stability of the group remains and sponsors will continue to have their connection to the casita. Sponsors are warmly invited to send letters of encouragement to their casita, and even interact with the kids through a video chat or by coming to meet them at New Hope! By sponsoring a casita, you make a significant difference by contributing to the cost of providing a stable home, supportive caregivers, food, clothing, education, medical care, and individual support in a Christian setting. Sponsors select the monthly amount that is right for them. Each casita has multiple sponsors, which provides each group of children with a community of individuals who are praying for them and demonstrating their care and concern by giving in this way. • To ensure equal care and benefit to all children at New Hope, monthly sponsorship funds are combined and used to provide for all children at New Hope. This ensures all children and casitas receive equal care whether they are fully sponsored or not. • Sponsors are welcome to make special contributions for the birthdays or Christmas gifts of the children in their casita. These funds are used specifically for gifts, and extra funds are used for group gifts or outings for the family group that the child lives with. For more information, please see our Sponsorship Information Sheet or email us. Volunteers at New Hope make a significant impact the lives of the children by helping with everyday life, spending time with the kids, coordinating special projects and activities, or using special skills and training for specific projects. We are currently accepting applications from volunteers who are able to commit for 1 – 6 months of volunteer service. The cost is $100/week, which includes room and board while at New Hope (personal travel costs are additional). The time of year, level of Spanish fluency, and individual strengths, skills and abilities (for example, having a background in carpentry, art, TESL, children’s or youth ministry, nursing, etc.) will help to determine a volunteer’s responsibilities at the home. 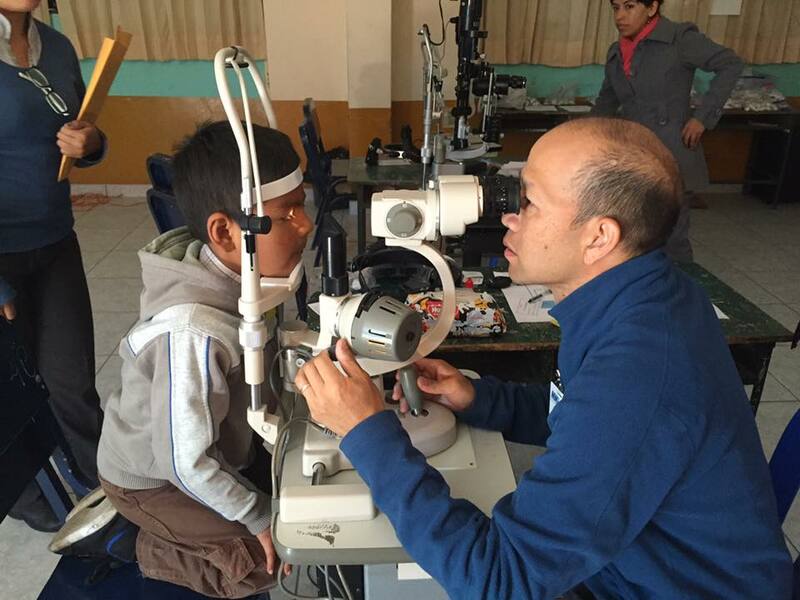 Volunteers during the Peruvian summer (January-March), will largely focus on setting up and assisting with daytime activities like English clinics, craft times, creative projects with the kids (skits, video contests, etc…), sports activities, and working on projects around the home. Volunteers during other times of the year will help more with projects at the home during the day while the kids are in school, and then helping with homework and spending time with the kids during evenings and weekends. Volunteers must be Christ followers with a heart for youth, children, and/or missions. Flexibility, servant leadership, and a self-starting are essential qualities, and those that speak some level of Spanish will be given priority. Contact us for more information about volunteering. We love working with mission teams and small groups of friends and family members who want to love on the kids, help with projects at the home and learn more about the needs of the kids and the ministry of New Hope. We have a small hostel onsite that can accommodate up to 26 people. Whether you are thinking of coming with your own family, or coordinating a mission team from your church or local community, you have the opportunity to make a lasting impact in the lives of the kids. 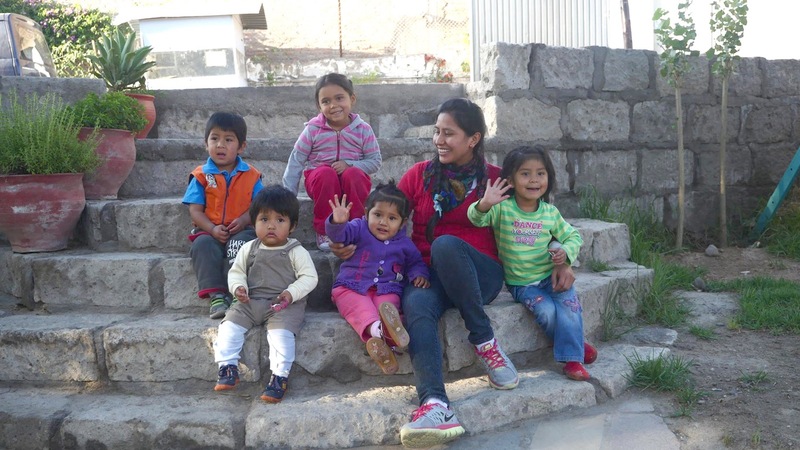 Groups at New Hope spend their time in a number of different ways – playing with and getting to know the kids, helping with work projects, and learning more about Peru and the situation facing the children in our care. We typically work with groups in advance to decide on a work project they would like to help with, and the group then works to raise funds to make the work project possible. Summer break in Peru runs from just before Christmas through early March. Groups who come during this time get extra time with the kids since school it out! Planning special activities, VBS, or mini-camp style opportunities for the kids during their summer months is a really meaningful way for groups to help support the kids during their break.